An abandoned 22,000-square-foot four-screen cinema has been brought back to life as a community arts center by bringing together a 230-seat dinner theater, 200-seat multi-use/banquet hall, 200-seat children’s theater and a future black box theater. Within the confines of a very limited budget, the original mundane cinema lobby was converted into a dramatic entry promenade, an intimate bar, banquet pre-function and full service kitchen. 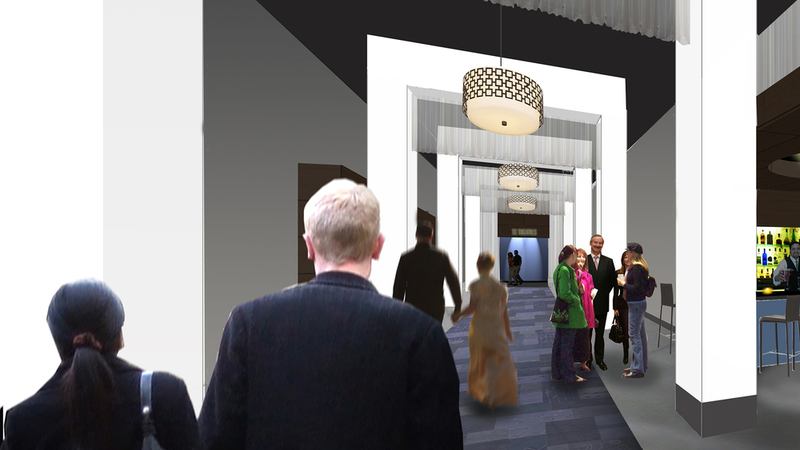 The former projection mezzanine provides dressing and green rooms, offices and a 30-seat balcony above the dinner theater floor for private parties. Randy was the project designer for this concept while he was with RB+B Architects. Visit the Midtown Arts Center Site Here.